MOGADISHU, Somalia — Somalia is one of the worst places in the world to be a woman, especially a pregnant woman. According to recent statistics, one in 18 Somali women die from complications of pregnancy or childbirth – one of the highest lifetime risks of maternal death in the world. But the new Mogadishu Midwifery School, in the Xamar Jajab District of Mogadishu, aims turn this situation around. In February, 25 midwives, from five regions in South and Central Somalia, were the first to graduate from the school. Their graduation coincided with the formal opening of the institute, which is the first midwifery school in Mogadishu, the country's capital and largest city. “The official opening of this institution today, combined with the graduation of these skilled midwives, is a clear indication that the country is on the right path to recovery,” Ridwan Hirsi Mohamed, the Deputy Prime Minister of Somalia and Minister of Religious Affairs, said at the ceremony. The vast majority of maternal deaths can be prevented with appropriate care and treatment. Yet too many Somali women lack access to the care of a doctor, nurse or trained midwife. Much of this is due to poverty. 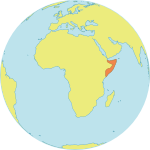 Some 82 per cent of Somalis live in ‘multidimensional poverty’, meaning poverty that is reflected not only in income but also in standard of living, access to education and access to basic health care. Additionally, conflict has disrupted development in many parts of the country, and in recent years has forced a variety of health-related international organizations, including UNFPA, to operate from neighbouring Kenya. UNFPA, Somalia’s Ministry of Health and partners are working to eliminate obstacles to maternal health care. Training more midwives is one important part of these efforts. 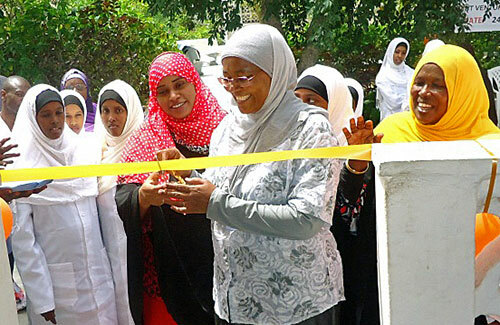 The Mogadishu Midwifery School began accepting students in August 2012, but with its official opening, it can begin to operate at greater capacity. Students at the midwifery school – one of nine UNFPA is supporting in the country – learn not only how to safely deliver a baby, but also how to recognize complications and handle emergencies. They are also trained in neonatal care. “Let us recall the potential risk and complications related to pregnancy and delivery that can threaten the lives of both the mother and her baby,” said Cheikh Tidiane Cisse, UNFPA’s Representative in Somalia. “Those threats can be rapidly and correctly managed with appropriate knowledge, skills and medication. Through the training at the new Mogadishu Midwifery School, midwives will be equipped with those necessary skills and competencies to carry out deliveries under clean and safe conditions in health facilities,” he added. In addition to training new midwives, the school will also improve the skills of midwives currently practicing. The school’s opening also marked a unique collaboration between three UN agencies – UNFPA, UNICEF and the World Health Organization (WHO) – as well as a group of donors, including Australia, Sweden, Switzerland, the United Kingdom and the United States, which are collectively supporting the Federal Government of Somalia’s efforts to rebuild the country’s health system. The multi-donor and multi-partner effort, known as the Joint Health and Nutrition Programme, will cost US$236 million between 2012 and 2016. It will also provide technical support, equipment, medicine and other essential reproductive health supplies to health facilities. Among its goals, the programme is expected to train approximately 1,200 midwives.